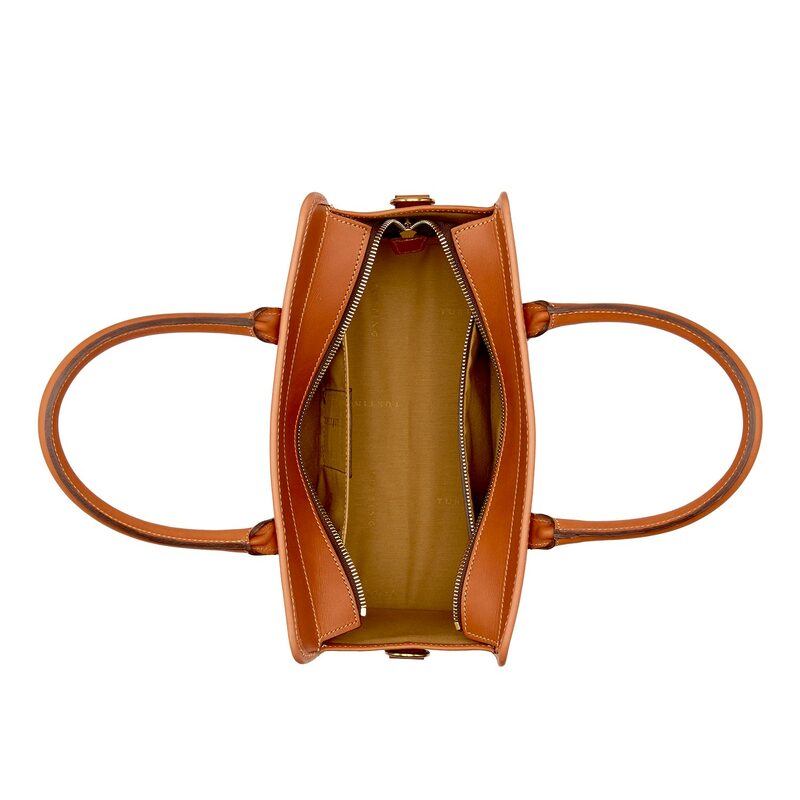 A stunning leather handbag in the elegant doctor’s style, the Catherine is a true investment. 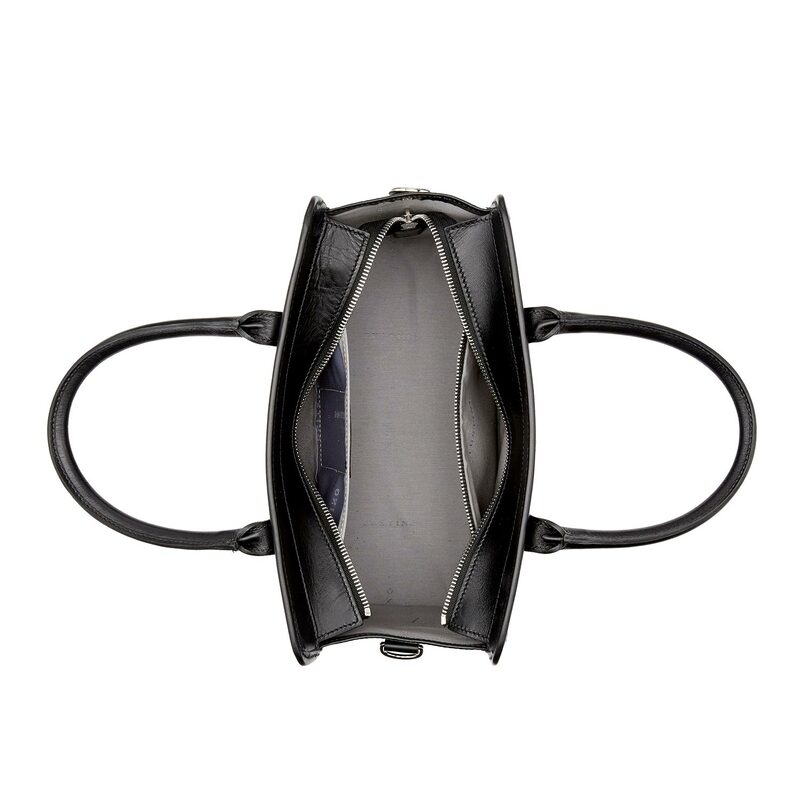 Versatile, beautiful and deceptively spacious, this is one of those handbags that effortlessly transforms into a signature piece. Trust us: you’ll wonder what you ever did without it. Choose your branding – go for our normal embossed crest in the leather, or add a little bling with our beautiful Tusting brand plate (just make a choice during checkout). 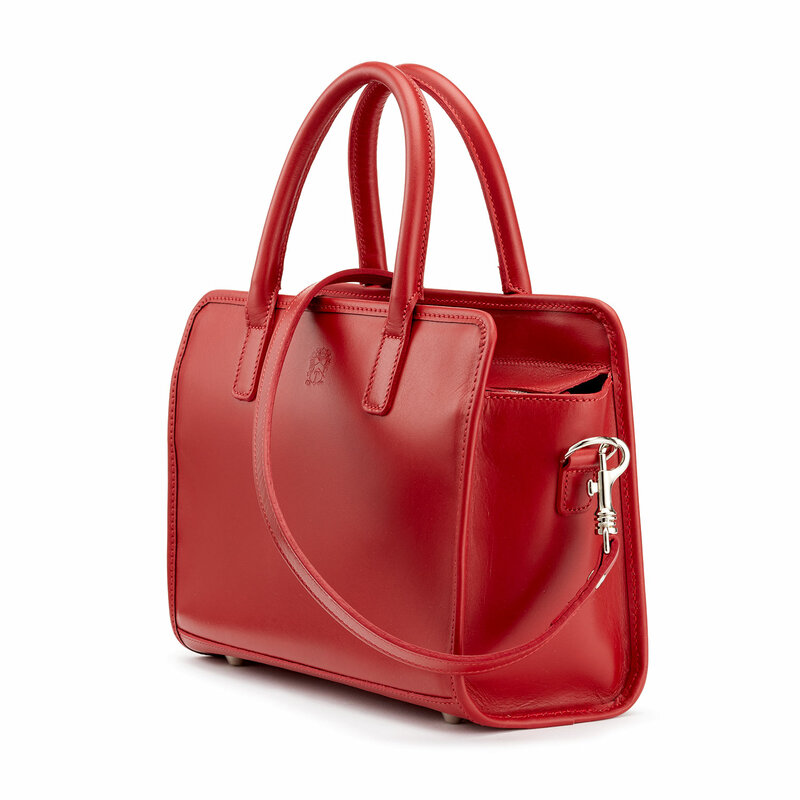 If it’s the wow factor you’re looking for, the Catherine in this breathtaking Red Atlantic leather could be the answer. 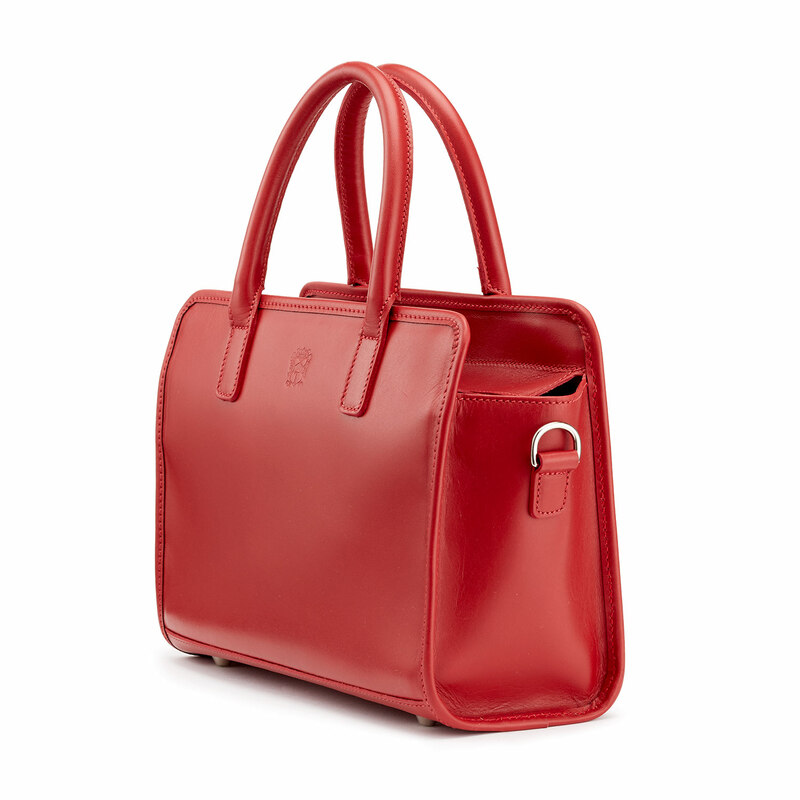 Reminiscent of the perfect red lipstick, this gorgeous doctor’s bag sits perfectly on the line between daring and elegant. A fabulous addition to the colour range, our rich, Marine blue works perfectly with almost every colour – gorgeous with anything from denim to the most formal black. 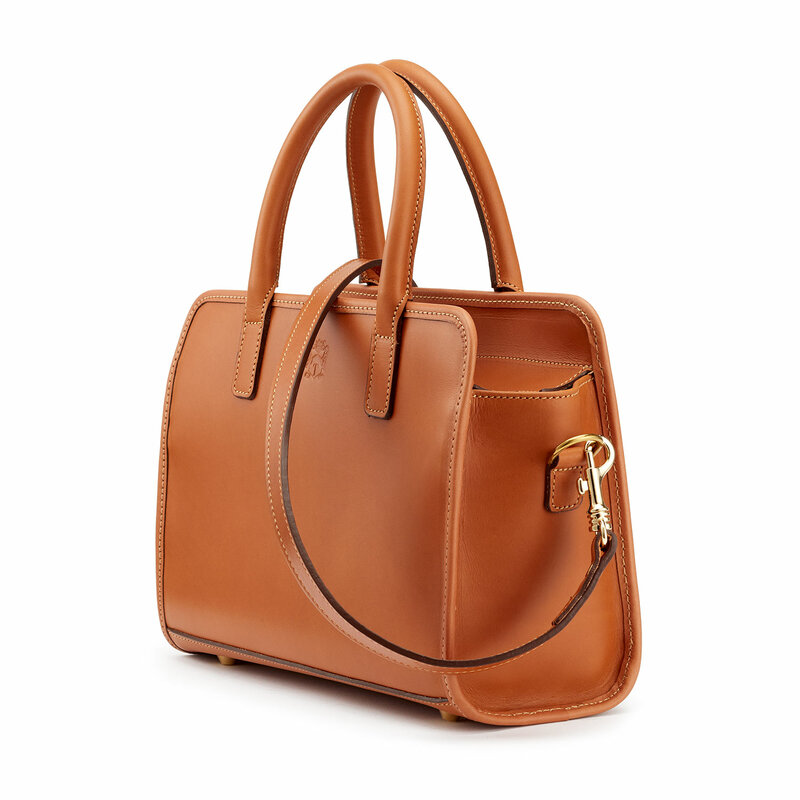 Bright and rich, the Catherine in smooth Tan Atlantic leather is versatile enough to complement any woman’s personal style. 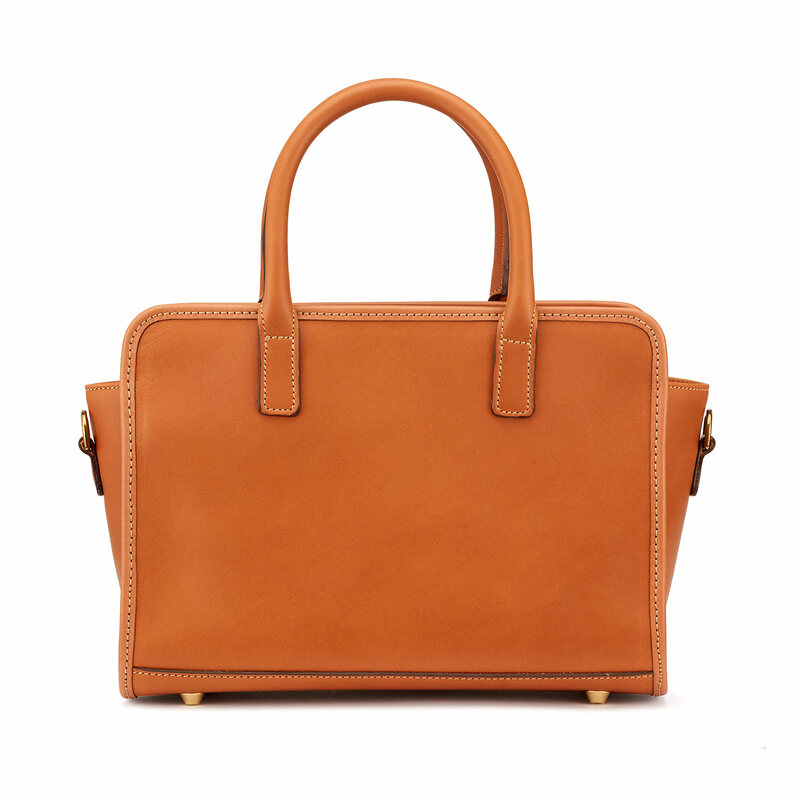 This doctor’s bag will be an instant and eternal favourite from the moment you have it on your arm, whether you choose the cuteness of the small size or the chic work-bag that is the large. 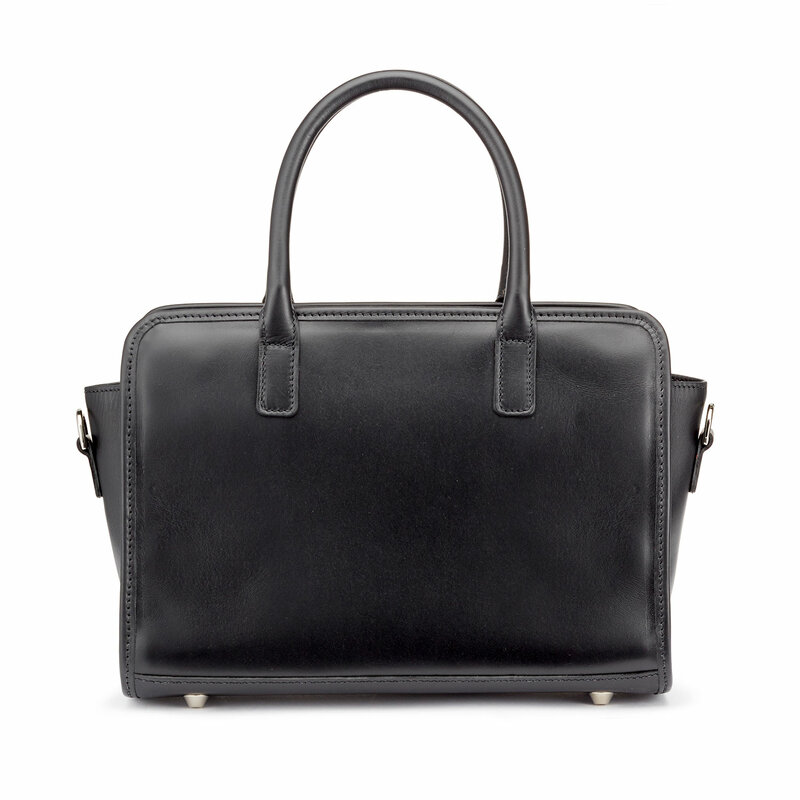 A woman carrying the Catherine in smooth Black Atlantic leather definitely means business. 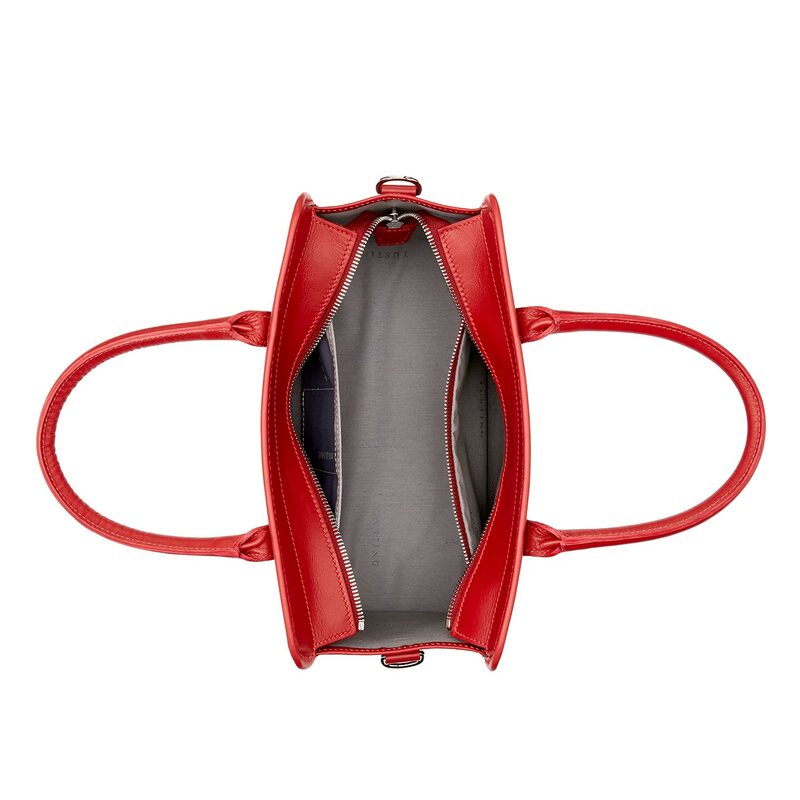 Sleek, chic and understated in its beauty, this mini doctor’s bag will elevate any outfit. 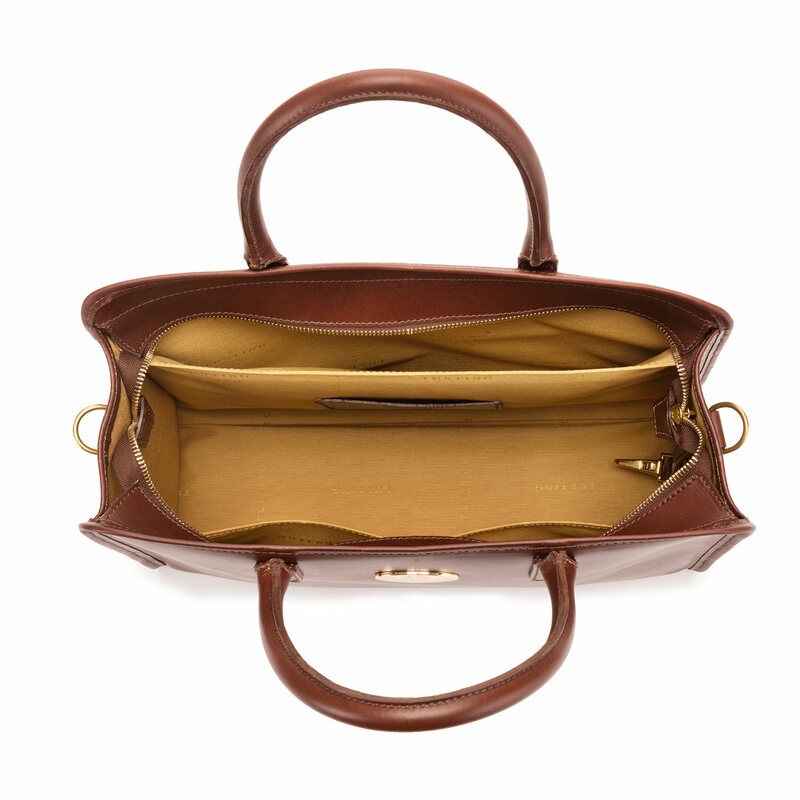 Perfect for carrying all your essentials – and a whole lot of style. Glossy, chocolatey and good enough to eat, although we don’t recommend you have a nibble! 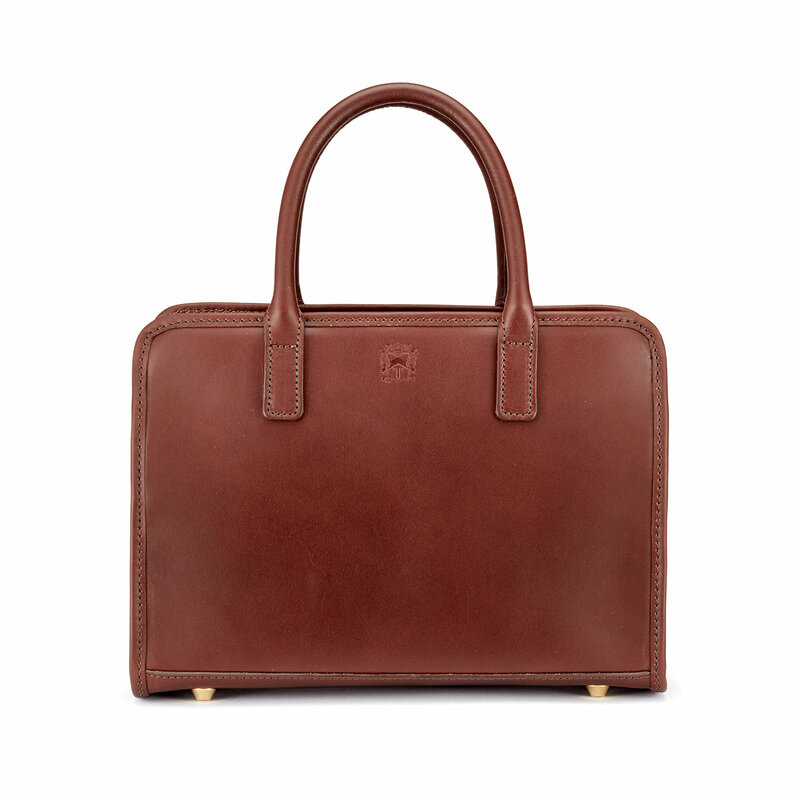 The Catherine miniature doctor’s bag in warm chestnut bridle leather is a classic piece of craftsmanship that you’ll cherish for years. The Catherine is very special to us. 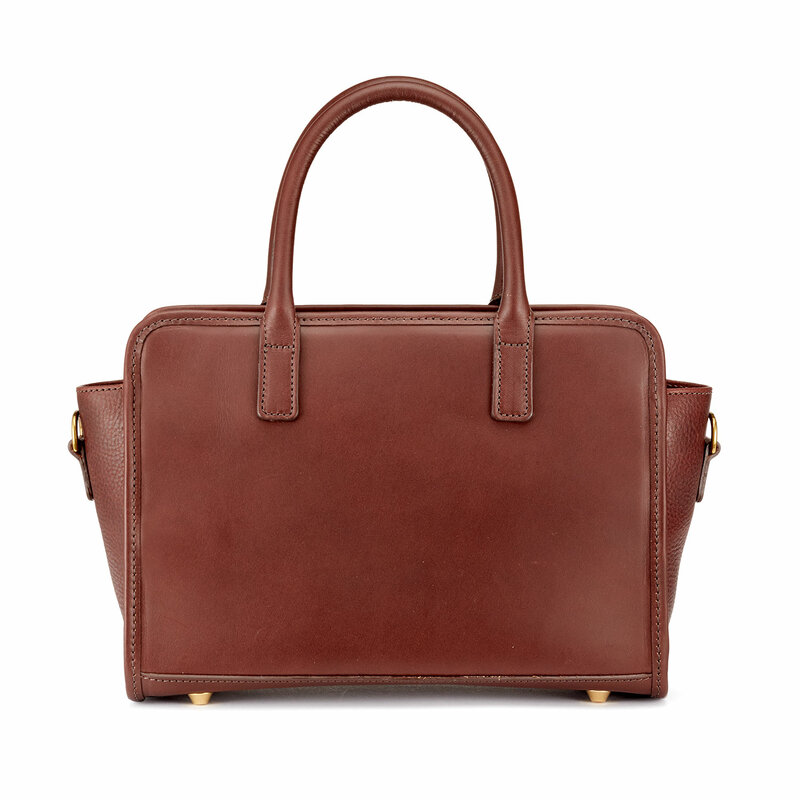 Named for the first-born child in the sixth generation of the Tusting family, this perfectly formed bag is wonderfully compact and undeniably adorable. 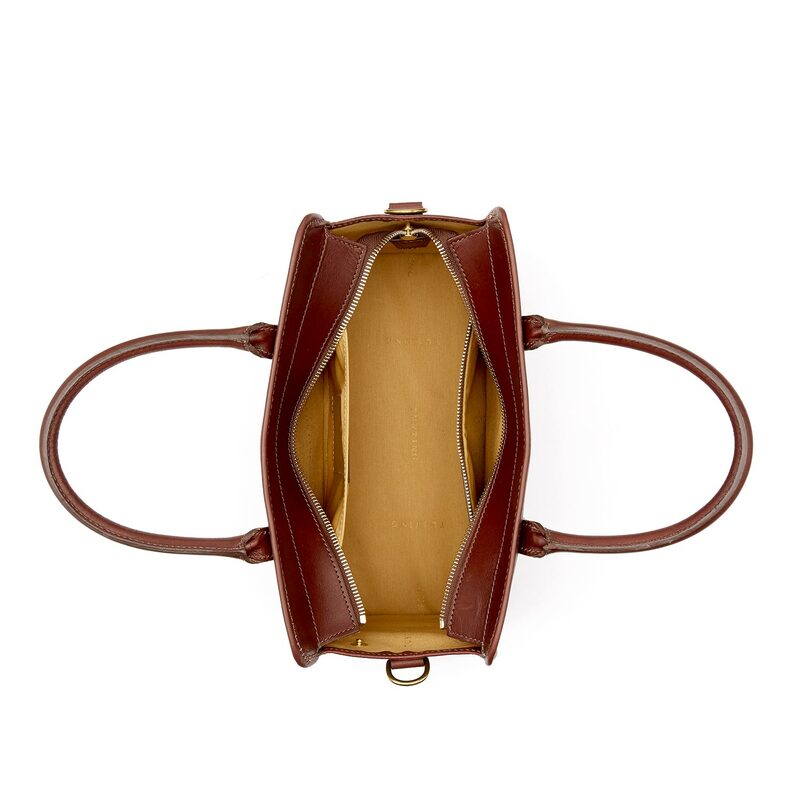 We like to think of the Catherine as the perfect personal assistant, taking care of your needs with the perfect bedside manner! 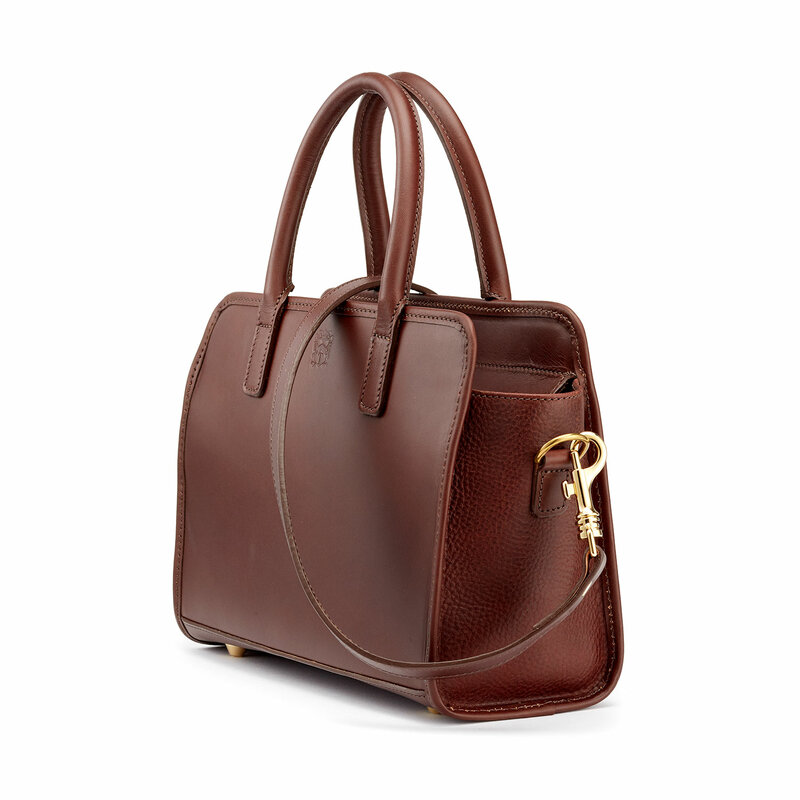 This lovely bag boasts a beautifully pared-down design. We’ve decorated it only with a single metal brand plate but, if you’re a lover of the totally understated, you might like to opt for a simple blind emboss instead. This is a simple matter, and there’s no extra charge – just choose your preference when adding your Catherine to your shopping cart. And, if you’d like to create your own colourway for our beautiful Catherine, just ask: we love to help clients with their bespoke requests. Simply give us a call or get in touch. Send us a special request.